Amvision is an L.A. & O.C. based DJ & Producer. Nearly five months after his debut in Hollywood @ The Cathouse, he continues to play clubs like Exchange L.A., Sutra and Avec in O.C., and even a few private boat parties too!! Amvision is a graduate of both the prestigious recording school Icon Collective and Garnish Music Production; having professional mentors that are some of the biggest names in the Electronic Music Industry! 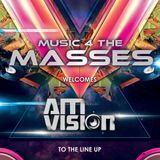 As he is continues to be supported and encouraged to play @ clubs after graduation, Amvision&apos;s style brings seamless transitions, amazing track selections, continuos energy, and great vibes to the Party….So Be Ready!! 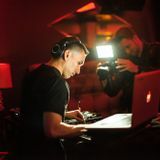 Though he started out on CDJ&apos;s, he has now embraced the technological advancements that have changed the music industry. Using Traktor, Ableton Live, Controllers or what ever he can use to get the party going!